So you want to do business, but you do not know how and where to start? Given you have two options – entrepreneurship or investment. Entrepreneurship is the process of starting and designing a new business. Investment, on the other hand, is the allocation of money in the present to someone or to somewhere else, with hopes or rather with expectations that it will return to the one investing – the investor. Entrepreneurship is a big task. It requires a lot of work. It requires hours, days of planning. And it requires capital, usually a large one. There’s just too many things to consider. Whereas in investment, you just need some money. Although, it does not always have to be about money. And how much money is needed? That is up to you. The bigger the investment, the bigger the return. The smaller the investment, the smaller the return. If this will be your first time doing a business, your safest bet would be investment. But investment is not just the “process of laying out of money in the present to receive more money in the future,” to use the words of Warren Edward Buffett, an American business magnate, investor, speaker and philanthropist who serves as the chairman and CEO of Berkshire Hathaway. Investment is also about having a good relationship with the people the investor is working with, or having a contract. And this good and stable relationship can be established by means of agreement. 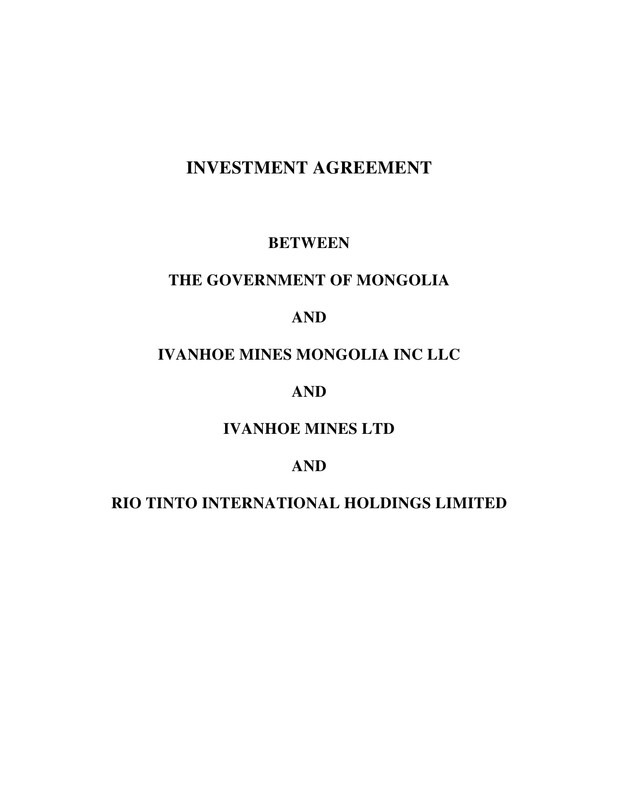 Investment agreement (or contract) is an agreement in the form of a document that binds the involved parties – the investor, the business proprietor, and future shareholders, to agree on common terms regarding financial assets, cash flows, returns, benefits, profit and loss statement, their individual roles, etc. Existing shareholders and the company. These are the founders, the operators of the business. Investors. These are the individuals (or group) that put up some money and expect to benefit for something in return in the future. Future shareholders. Eventually, as the business grows, some party may join in the boat, and they will bet on the business. Letter of Intent. 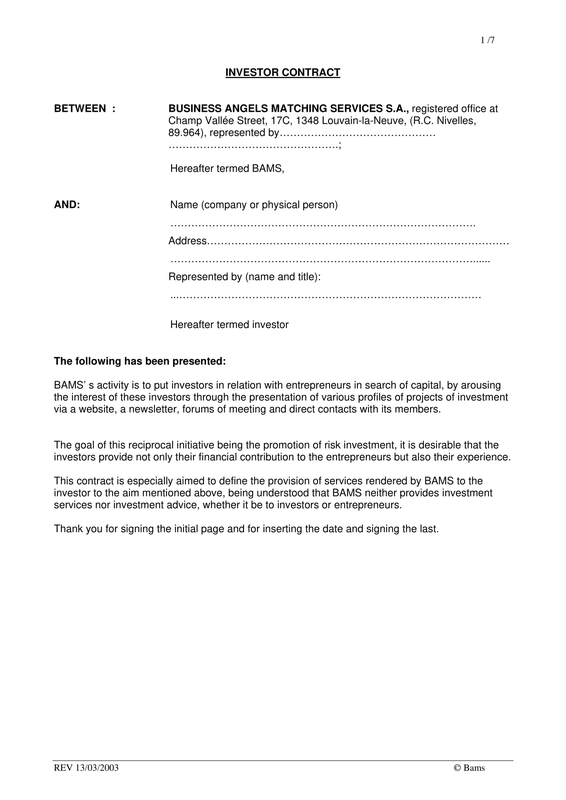 This is one document where the investor intends to party with the business founders, to express his intent, how much he intends to invest, and what kind of investment he is interested in. Term Sheet. This is where all the terms and conditions are all set. 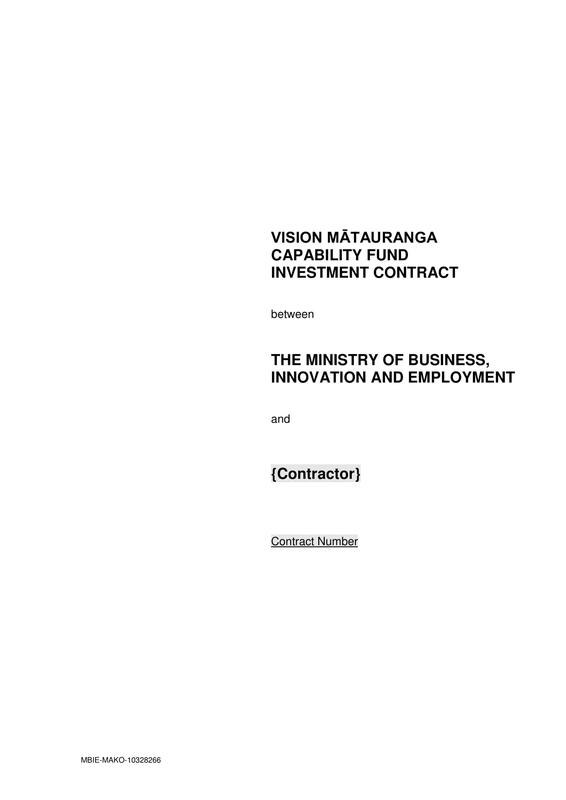 This is where one can read one’s roles, his obligations, the vision and mission of the company. This may include the confidentiality agreement. 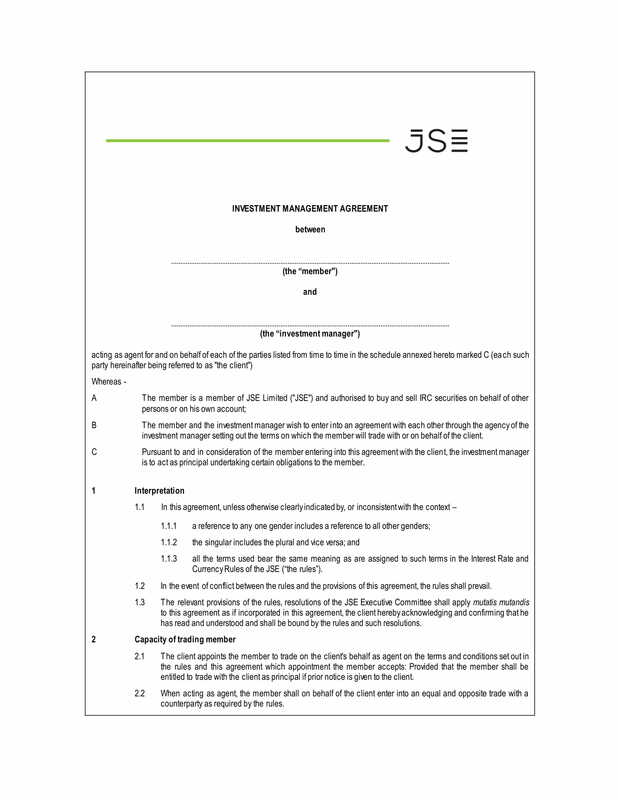 This is what we are referring to as the actual personal investment agreement. 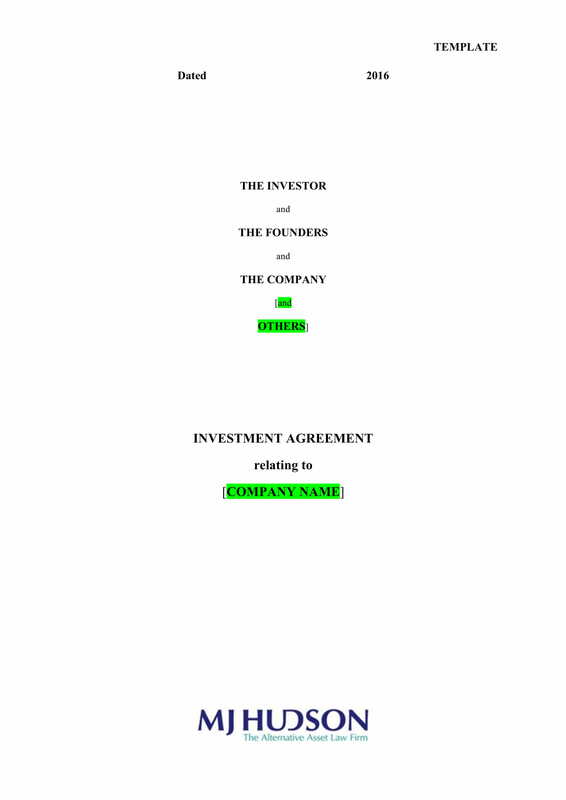 Shareholder’s Agreement. 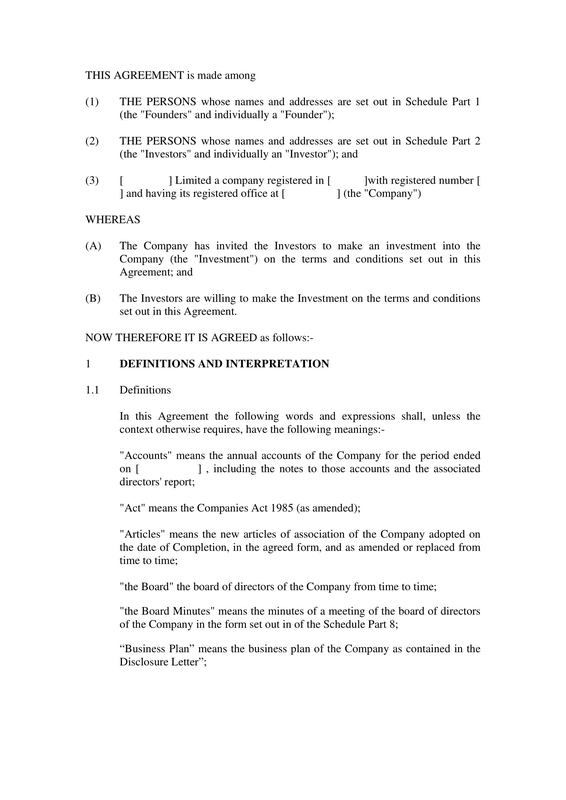 A shareholder’s agreement is a document among the company owners, founders. This is the terms on the voting power, ownership, types of shares, disbanding, removal of member terms, how the business should run. Definitions. This is where all the terms in the agreement is defined and explained. The purpose of which is to make sure that all the parties, all members will have the same, common ground when explaining a particular subject, such as the definition of flexible time in, or transferable account, et cetera. Background, Purpose. 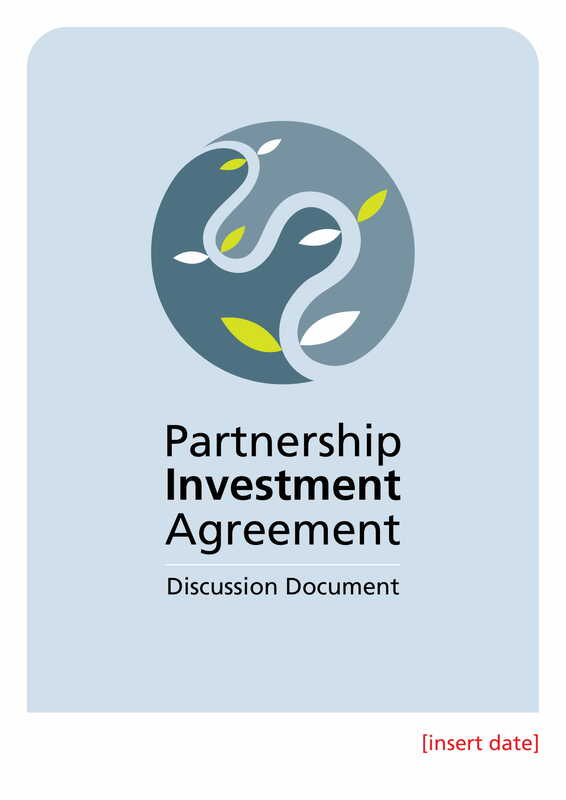 It is important that it will be put into writing the very purpose as to why there is an agreement, as to why there is an investor, as to why there is a pact. Collaboration Agreement. This will specify the roles of every member in the business, the investor, the owner. Bear in mind that each individual do not have the same functions. One person does A, the other does B. And some others may be doing a part of A, and a part of B. Confidentiality. There are terms in the collaboration, in the partnership that requires confidentiality or non disclosure agreement. Depending on the agreeing parties, they may not disclose the earnings, or whatever there is that may weaken the members relationship as well as the business. Confidentiality is sometimes required for business especially when there is a release of a new product. The success of the product depends on how much protection has been given to that product, how its process, its ideas are protected. Liability and Indemnification. There are cases when a party or a third party has done damages. It would be helpful if it should be included in the agreement. These includes compensation of the damages, lost of items, or lost of files. In this case, how much should one be paying, or compensate. Breach and Termination. And if there is a need for the business company to decide if one should be terminated or not, it should be stated in the agreement also. Part of this is the due process, the kind of violation that one has committed, the kind of breach whether it is serious or not. Signatures. And to make it more genuine and authentic, it must have a signature of every party. 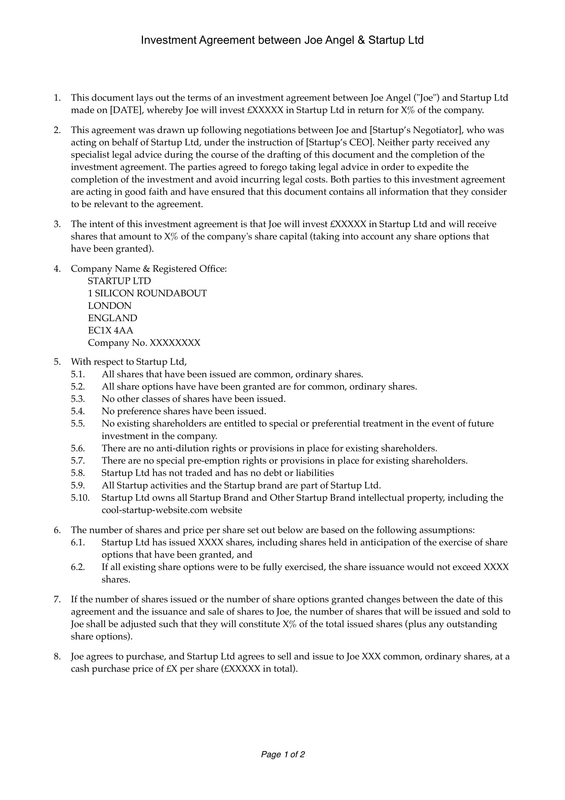 Usually the signatures are to be found in every page of the agreement. Duration of the business, renewal. Here is where we find the timeline of the project. The deadlines, the time frame. All this considered, the renewal of contract must be given emphasis. Thee are basically the common ones we find in an agreement. Other would include the following: exhibits, investment and project funding, disbursement and use of investment, review of the project and of the business, project management, dissemination, et cetera. Before you enter into an investment agreement, especially as individual investor, it would be fitting if you have some basic knowledge and strategies about the how-tos of investment, be it big or small. Bear in mind, you are putting up some hard earned money or properties in an investment, and wasting it should be the last thing that should happen. The buy cheap, sell high approach is a basic strategy in all kinds of business, and can be applied as well in investment. Value Investment. There is a strategy by the famous investor Warren Buffet, and it is simple: buy stocks than they should be. We understand this as something like, buy something cheap and sell it high. To be able to do this, one should be knowledgeable in the things, product he would like to invest into. It requires research, and a lot of research. It takes patience. You have to wait for the right time. Income Investment. This is investment in which investor buys securities and will get returns in a regular schedule. The basic one is bonds. A bond is is a fixed income investment in which an investor will loan money to someone or an institution, a corporate or a type of government, which borrows the funds and with fixed interest for its returns. Growth Investment. Instead of focusing on the returns, in a growth investment, you are focusing on the capital value of a company. Peter Lynch is the guru. Growth and Value Investment may sound at the opposing side of the coin, but the business mogul Warren Buffet believes the the concepts behind growth and value investment are basically the same. For him, all kinds of investment is an investment of value. Strong growth and increase in profit can lead to a higher value of the company. Small Cap Investment. This is for small companies that requires only small capital. Small as they are, but they are risky. Socially Responsible Investment (SRI). This is the kind of investment that factors two goals: social impact and financial gain. One example of a socially responsible investing is community investing, in which it goes directly to an organization that does community service, making a community better. Often, these can be organizations that have no access to other sources from banks, or the government. Ownership. When you become an investor, a part of the company can be owned by the investors. Check with your partners how you can make arrangement in this aspect. Voting Power. Voting is the power to select members as board officials, President, Vice, etc. One investor, one vote. Transfer Ownership. An investor may exchange stock provided they can transfer ownership. Inspect Corporate Books and Records. It may not be a big deal if companies make a report for the public. There was a time when the practice of doing a report, an investor has to check the company’s accounting. Suing. Should there be anything that needs to be taken action, investors may sue the company. Depending on the company, these may vary from one to another. These rights may be agreed upon between the investor and the rest of the party. Personal investment is a good way to start on a business. Unlike entrepreneurship in which you really have to start the design, the planning, the creativity, the whole building of a new business, in an investment, you just have to ride on with someone. All you do is take part in the share of the capital for the business to start, but actually, you really do not have to think about business in the strict sense. If you want to be very successful as an investor, you can actually start by having a consultant. Investor is not that difficult but it can be very tricky. It is tricky because you may not be familiar with the business that you invested into. If you do not spend too much time studying the business you are into, your one option is to hire a consultant. Or if you prefer reading books, you can start collecting books about investment. There are too many of them. In fact they are sometime mentioned even in an entrepreneurship books. The purpose of investment is to maintain harmonious relationship between two or three parties, in this case, the investor and the business owner. And that applies for all kinds of agreement: employee and employer, sponsor and proponent, et cetera. The agreement will set terms for the transacting parties and will bind any rules so that they should be followed throughout the course of the contract. 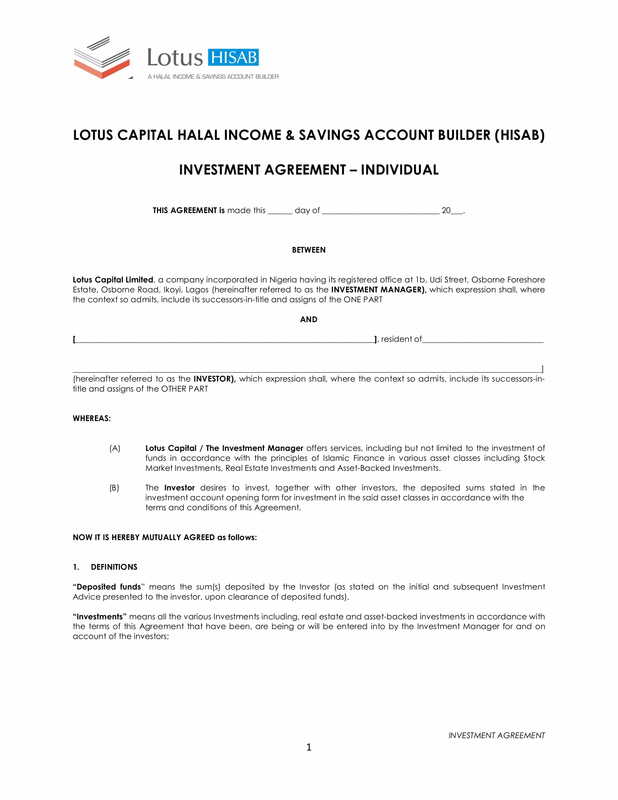 In an investment agreement, the terms may include the percentage that the investor will claim, or how much he should be investing. It may include the power he has over the business. As mentioned earlier, it can be about the rights that he has, or the lack of it. To simply say it, we invest money, because we want to have more money. We know all the risk that is involved in investment, still, people would invest because there is likely more profit than there is risk. This is a very self centered concept of investment. We invest because we want to gain. We have money, but we want to use it so that we can have more, so that we can have more money. And this is a very limited notion of investment. investment should be about improving one’s wealth, as well as, helping others. Investment is self centered, in nature. But as humans, we should go beyond the common understanding of it, going beyond what is normal. Investment is a limitless business, as long your have the money to start it. Its biggest advantage comes from the fact that it does not require one to make business. It is like putting up some money in bank. You just leave it there. And it will grow without you planting planting plants without watering them. Well, actually you have the option whether to water it or not. 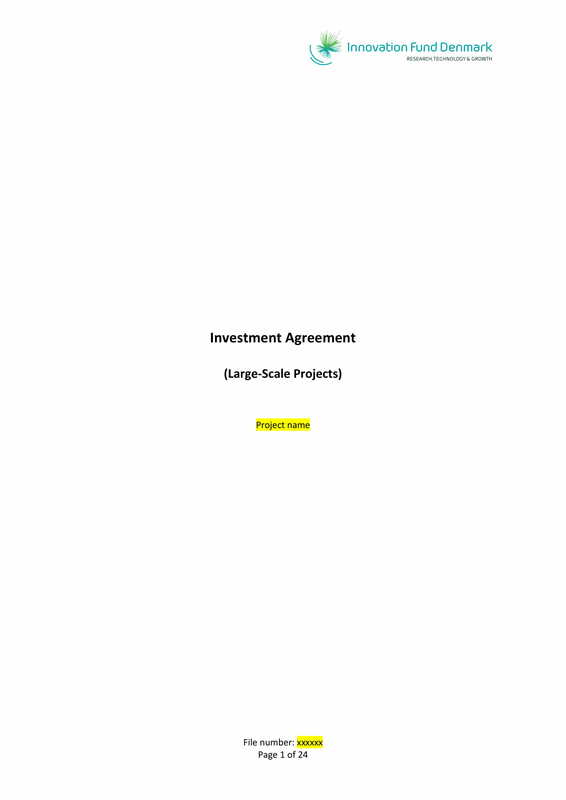 The very purpose of investment agreement is to draw a line between the investor and the business owners. That way there is no overlapping of roles, that way, there will be no confusion. Although it is clear from the start as what roles each party has to play in the business, it is necessary that there should be a documentation. The documentation is where the two parties will go back to when there is a need for clarification. This will prevent a cause for conflict.